I had forgotten how much I love pesto in the Summer. 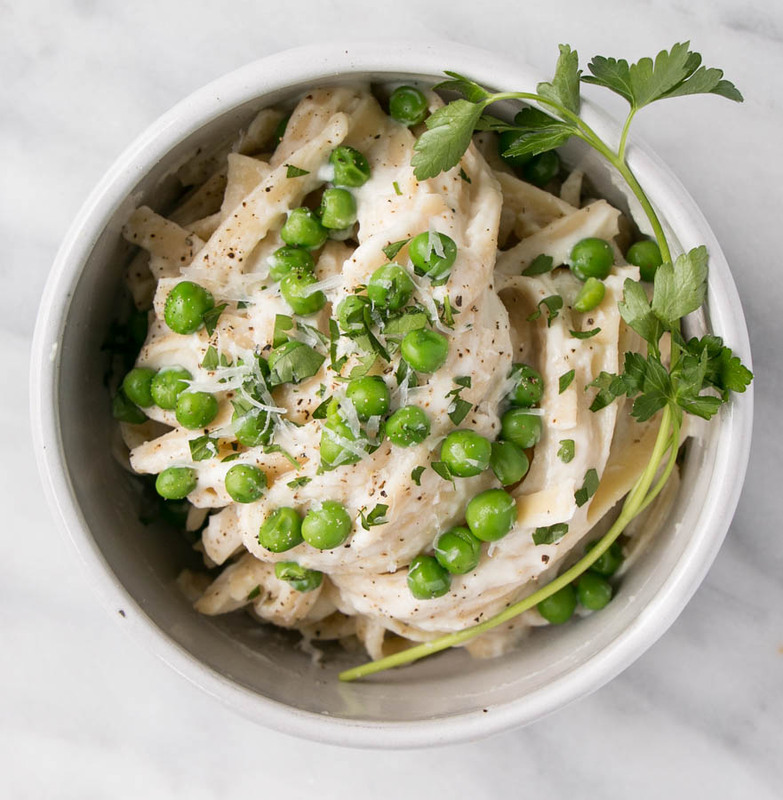 It’s quick, packed full of strong and sweet basil, and in this case, it’s loaded with iron and fibre and Vitamin C from the peas for a serious vegetarian delight. I love how green this pesto got from the peas. Plus, fresh peas, which scream early Summer to me. I adore watching my littles peel apart the pods and squeal with delight on their petite treasures inside. Fun with toddlers at meal time. I kid you not friends. 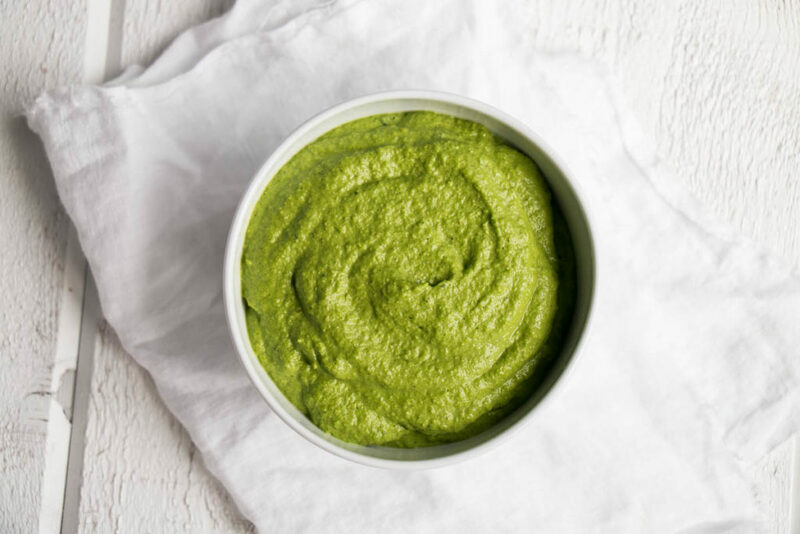 All 3 of my kids love, love, love pesto. 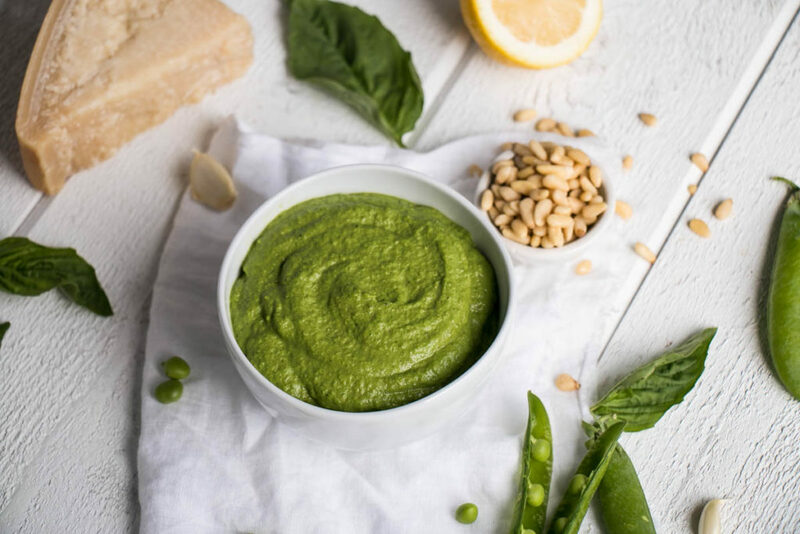 And this pea pesto in particular, which makes me feel good about making it for them. 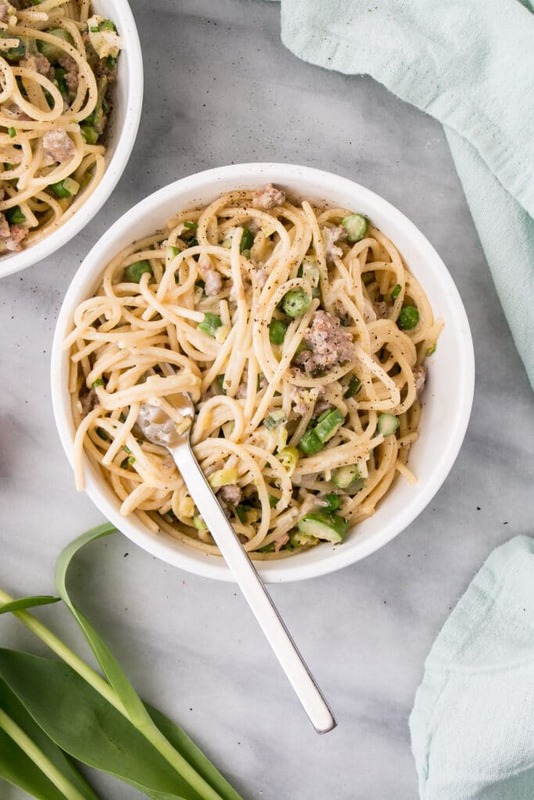 Whether it’s coating pasta, potatoes, used on pizza, spread on sandwiches, or as a dip for other veggies and bread, it does my mama heart good knowing they’re getting some truly nutritious food. 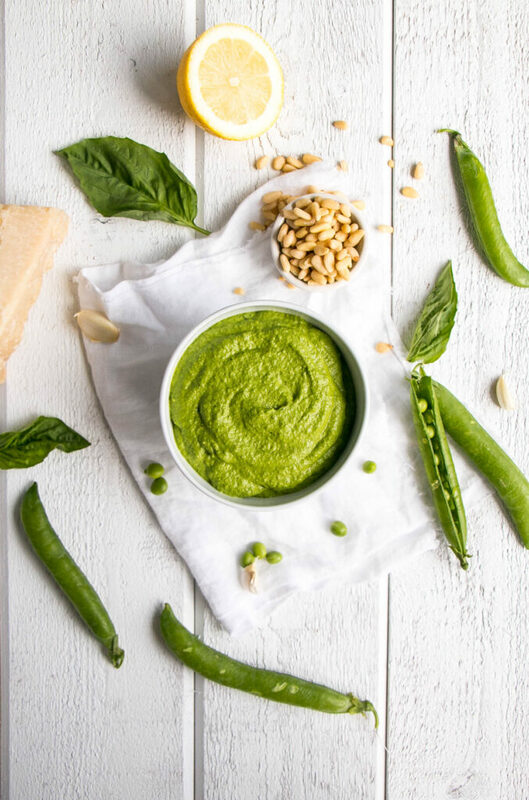 We enjoyed our pesto multiple ways. 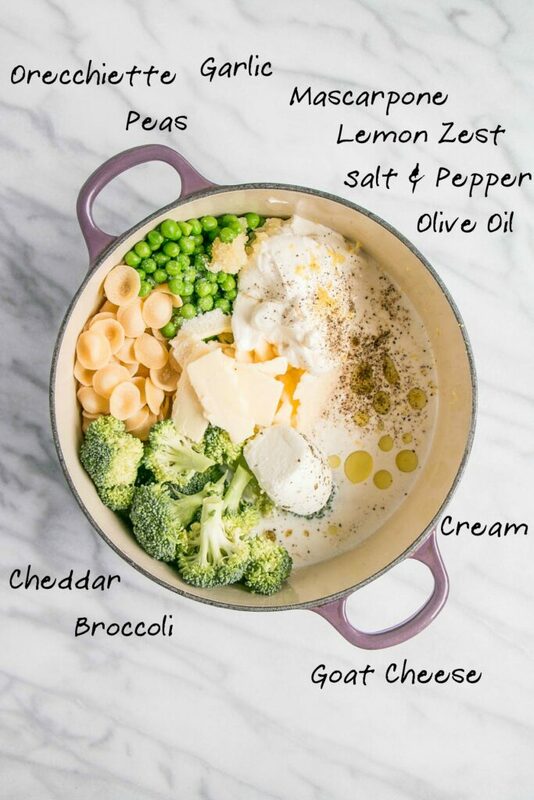 First it was spread as the base on pizza dough, then topped with pasta, and then used as a dip with vegetables. Our next batch was used with boiled potatoes and spread on bbq’d chicken breasts for a light and yummy Summer dish. I’ve added lots of basil and garlic to brightened up the peas and lemon juice to reduce the overall amount of oil required. 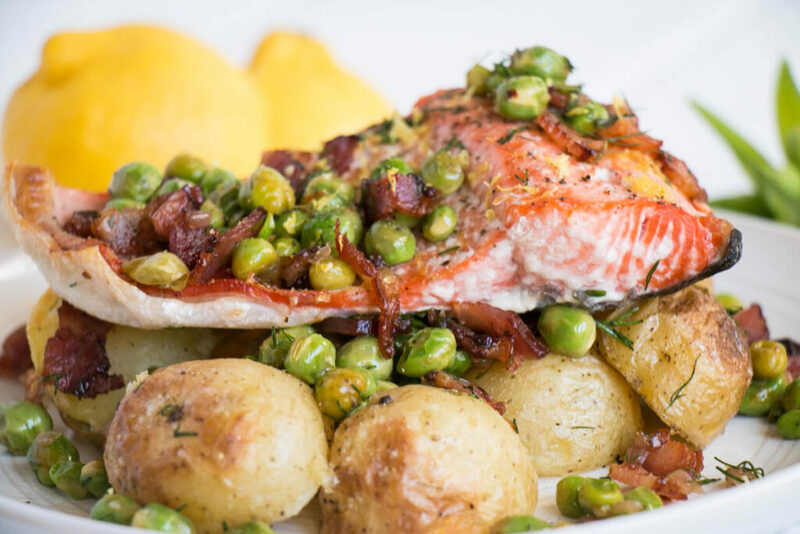 Not that I’m against oil, but I think the lemon juice is a necessary component to balance out the flavours and bring a touch of acid to the recipe. 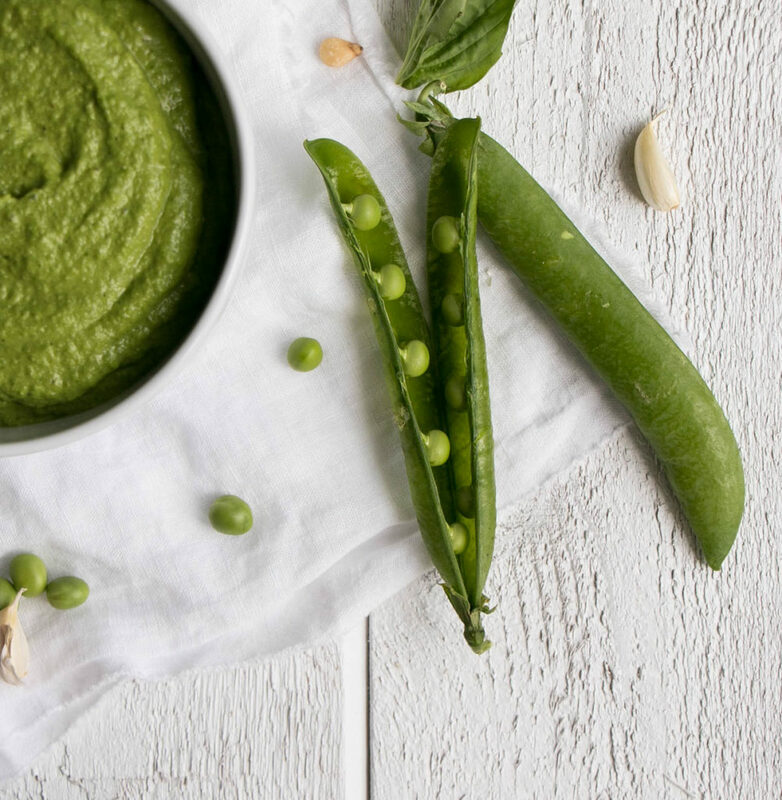 Vibrant Pea Pesto for a bright and nutritious sauce that goes the distance. 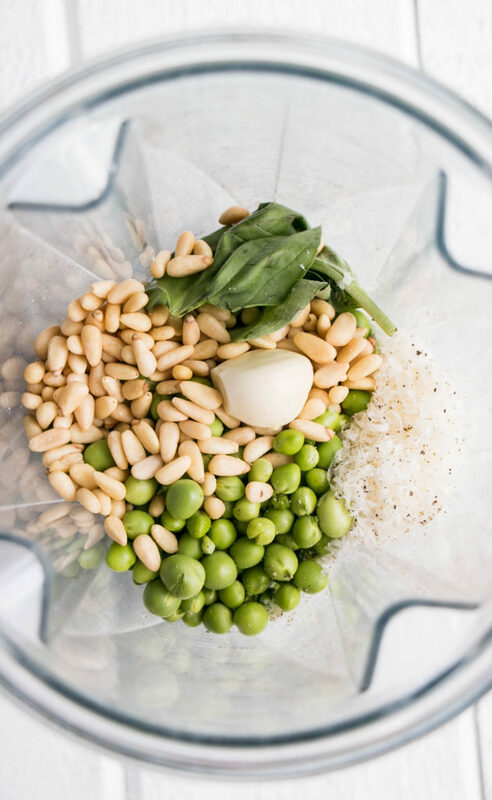 Place all ingredients in a blender and blend until smooth (or desired consistency has been reached). 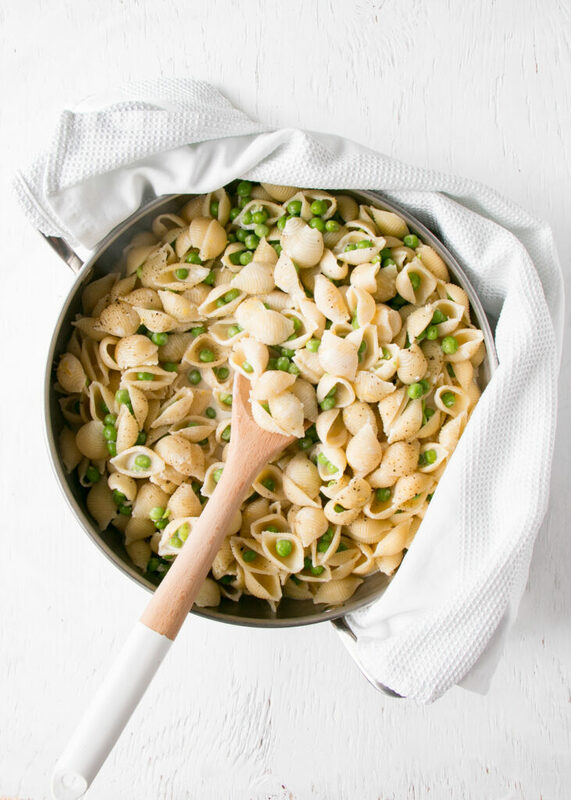 For me, nothing can be as basic AND delicious as pasta. 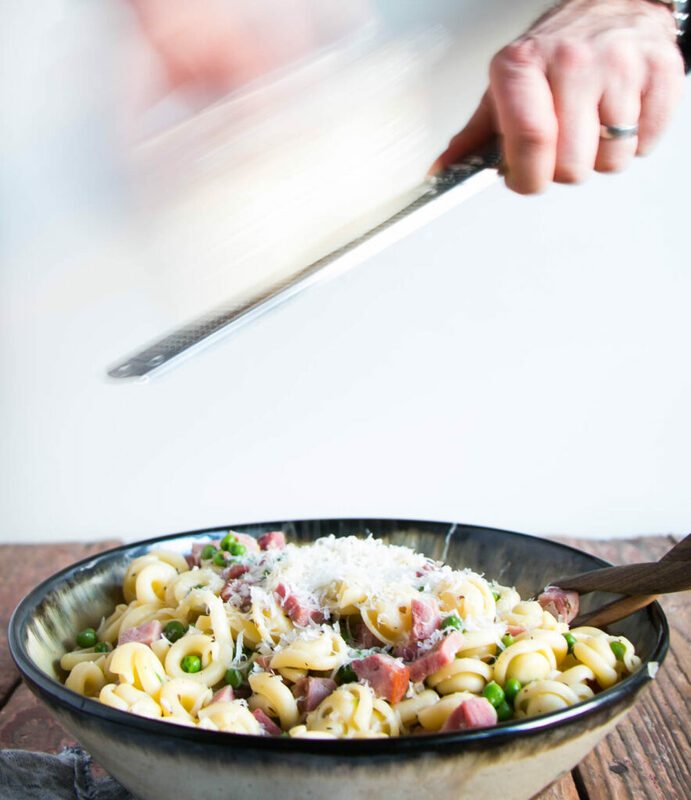 It doesn’t take much for pasta to be turned into a wholesome and fantastic meal. 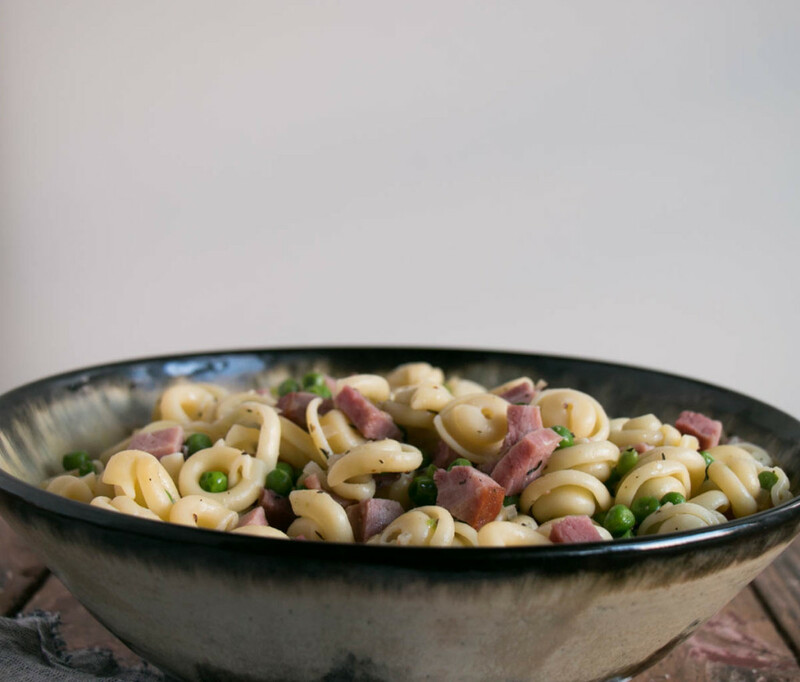 Head on over to Peaks and Harbours for the full recipe and ingredient for this luscious Pasta with Peas. Fried Dashi Rice with Shrimp and Miso-Butter Radishes umi filled meal of dashi and miso to complement shrimp fried rice and butter radishes. 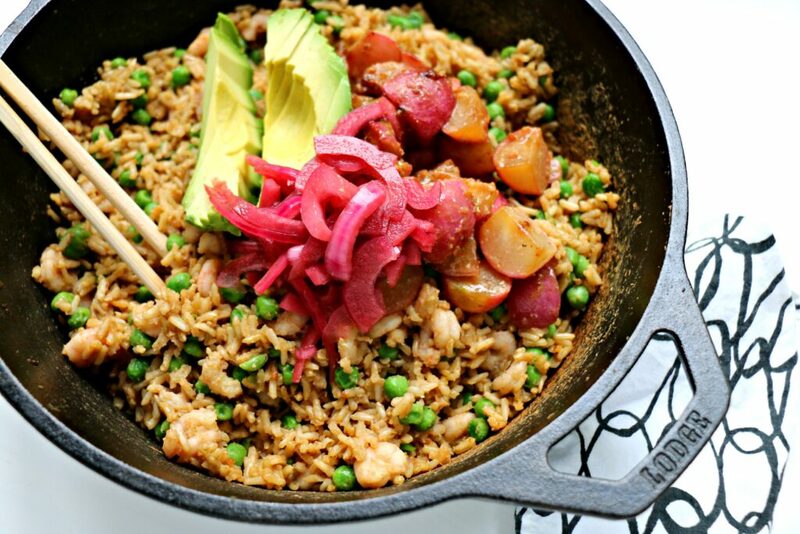 A delicious twist on fried rice that is a crowd-pleaser and is an easy fried rice recipe.